Hackers are using technology as a force for good to help not for profits solve their “Goldilocks problems”. Random Hacks of Kindness (RHoK) is holding a hackathon around the country for purpose-driven organisations to give volunteer technologists social challenges to solve. The search is now on for charities and social enterprises who want to bring their problems to the table with applications open for potential changemakers to take part in the next round of hackathons in November. 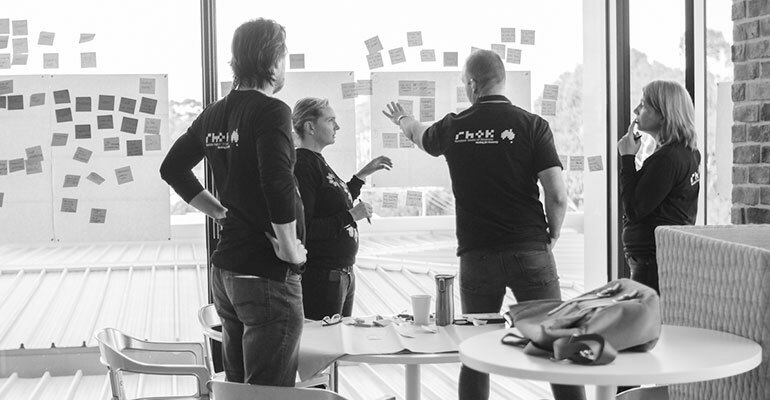 RHoK Australia community manager Cal Foulner told Pro Bono News the aim was to use the “enthusiasm and ability” of technologists and put it to supporting charities and having social impact. “We have a big community of hackers who all spend their time building products for Zendesk and DiUS Computing and these kinds of companies and they have amazing technical ability and they have a social conscious, so what RHoK does is create an outlet so that they can use their technical ability as a force for good,” Foulner said. He said they were looking for organisations with “Goldilocks problems”. “What we refer to as ‘Goldilocks problems’ are basically problems that are big enough that they are worth solving and will get our hackers excited to be a part of, and motivated to solve, but then also small enough that they fit into a hackathon model and are sort of achievable to make a serious dent in a weekend,” he said. Foulner said he encouraged anyone interested to apply and not “to be scared by the idea of a hackathon”. “I would encourage people… even if they’re not sure or they don’t have a specific challenge in mind, but they can see a number of things that need to be solved, just reach out and come and grab a coffee with me and have a bit of a conversation about what they do and where they want to go,” he said. Foulner said the initiative was supported by a “bunch of mainly tech companies” which allowed them to offer the hackathons to changemakers for free. He said it was a rare opportunity for organisations to solve their tech problems at no cost and also to learn “a whole lot about software development and technology” in the process. “We have a big education component at the beginning of the RHoK hackathon, and a lot of what we do at the beginning is explain what is possible and explain terms like lean and agile and explain what software development is and how it will all work, and that sort of thing,” he said. 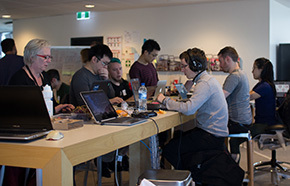 Previous changemakers involved in the hackathons include Accessible Australia, the 20Squared project and Pinchapoo. Foulner said one of his favourites was a lady called Jennifer McConachy who worked in the Family Finding unit at Berry Street. “She has really become part of the RHoK family, because she has come back three hackathons in a row,” he said. “Basically she has developed a platform so that when a child comes into their care they can basically search the database and search online and search through any records they can find on the internet and through their own records, to cut down the time it takes them to find a suitable home to go to and stay in. 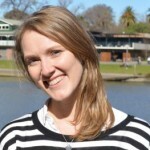 McConachy is quoted on the RHoK blog saying she walked away from the hackathon feeling “very inspired and humbled”. “I have found it really helpful to try to not think of how our organisation and sector do things now, so I am not constrained by current practice or approaches,” McConachy said. “It is important to have a good sense of what it is you want, but be open to how that need is met. Foulner said the experience also showed that while hackathons were often associated with start-ups, charities of any size could benefit. “For a bigger charity, although they generally have more money than say more of a startup social enterprise or charity, it is a really good way to find a specific problem that doesn’t have any internal funding and find an internal changemaker who is really passionate about solving this problem and it allows them to prove the case for taking it on and getting funding internally from their big organisation,” he said. He said he hoped RHoK could help solve problems for organisations around the world. “One thing that is unique about RHoK, is that we are completely open sources so everything that we develop is under a creative commons license and we list it on our website that anyone can access it,” he said. “It is crazy to think that one charity solving a problem in say Queensland has completely different set of challenges and technical needs to charities solving a similar problem in Melbourne. 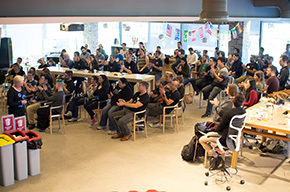 The next hackathons will be taking place in Melbourne, Sydney, Western Sydney, Brisbane, Ipswich, and Bendigo on the weekend of 25 and 26 November. Applications to be a changemaker are open now until 6 October. See the RHoK website for more information.